Do you like Glen Allen? Yes, it's in the suburbs. Yes, it's in a strip mall. Yes, it's next to Wal-Mart. Don't let that scare you off! 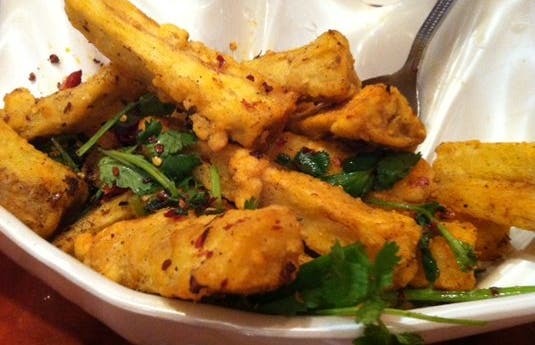 Peter Chang's is worth a special trip, especially if you like spicy food. Unlike most Chinese restaurants, Peter Chang's focuses on Sichuan cuisine and has plentiful offerings aside from the usual suspects like sesame chicken or fried rice. The bubble pancakes are a fun novelty (if a bit plain in taste) and all of the chef's specials are delicious. Order some of the vegetable dishes: they're better than you might think and treated as entrees rather than sides. The soups are also a great choice.